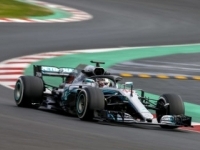 Mercedes-AMG Petronas Motorsport, F1 Source: © 2018 Daimler AG. All rights reserved. 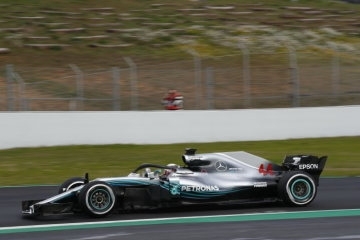 The last day of the first week of pre-season testing turned out to be the most productive day yet for Mercedes-AMG Petronas Motorsport. 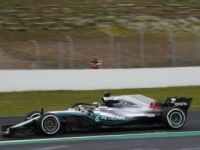 The team managed to drive the F1 W09 EQ Power+ for a total of 600 kilometres, with both drivers running a decent amount of laps. After tricky weather conditions had compromised yesterday’s programme, the team got a lot of work done today and is now looking forward to more productive testing days next week. We started in the wet today and got some very useful running done on both the Wet and the Intermediate tyres. I did a long run of roughly 30 laps on the Intermediates and could really feel the track conditions evolve during that run. We got some insights into the Intermediate tyres and their durability in temperatures like these. We later did a cross-over, changing from Inters to slicks tyres in a pit stops. That was very useful for the strategy team, but also for us as the drivers, as you learn a lot when you try to find the grip on the slicks and feel how the car behaves. So it turned out to be quite a useful morning despite the wet conditions. I did 60 laps which is what we had targeted. It would have been nice to drive a little more in the dry, but I think we made the most out of these conditions. The first week of testing was a tricky start for all the teams, but I think we managed to make the most out of it. Everyone in Brackley and Brixworth has done an amazing job, everything on the car worked so well since day one and the engine is running very smoothly as well. I’m looking forward to next week, hopefully we will come back to normal Barcelona conditions. 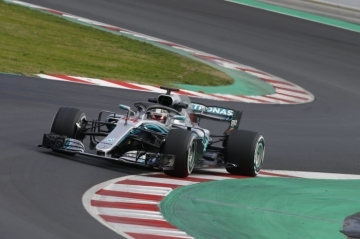 I’m excited to keep learning about the W09 and maybe next week we will find out how quick it really is. Today has been positive, I’m so happy that I could get in the car and I’m really excited that I could get some running in. It’s been the first time today that I’ve really been out to learn a lot more about the car and its characteristics. I got to see what she’s like and stretch her legs a little bit. Driving a new car is like trying to crack a new code: you have to figure out which different techniques you need to get the most out of it. 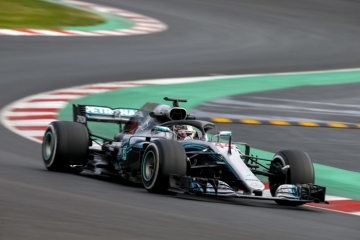 But the W09 feels like last year’s big sister. 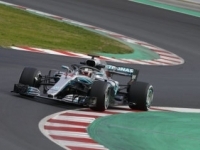 Out on track, the Pirelli tyres have been very hard to get working in these unusually cold conditions but they feel pretty good once they are up to temperature. Of course we’ve got things to learn and things to improve on balance-wise but overall my feeling is positive. I’m really looking forward to next week and to getting back in and learning more.